The world’s oldest aircraft carrier in active service -INS Viraat- will retire on March 6 with a ceremonial send-off in Mumbai. According to Guinness World Records, INS Viraat is the world’s oldest serving warship. The decommissioning ceremony of INS Viraat will be attended by Defence Minister Manohar Parrikar as well. 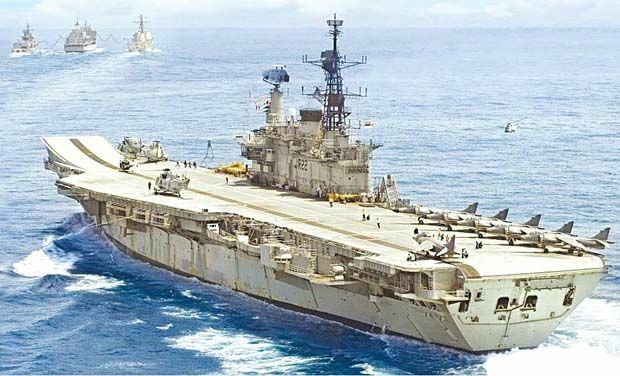 Referred to as the ‘Grand Old Lady’ in the naval community, Viraat was completed and commissioned in 1959 in the Royal Navy of the United Kingdom as HMS Hermes.